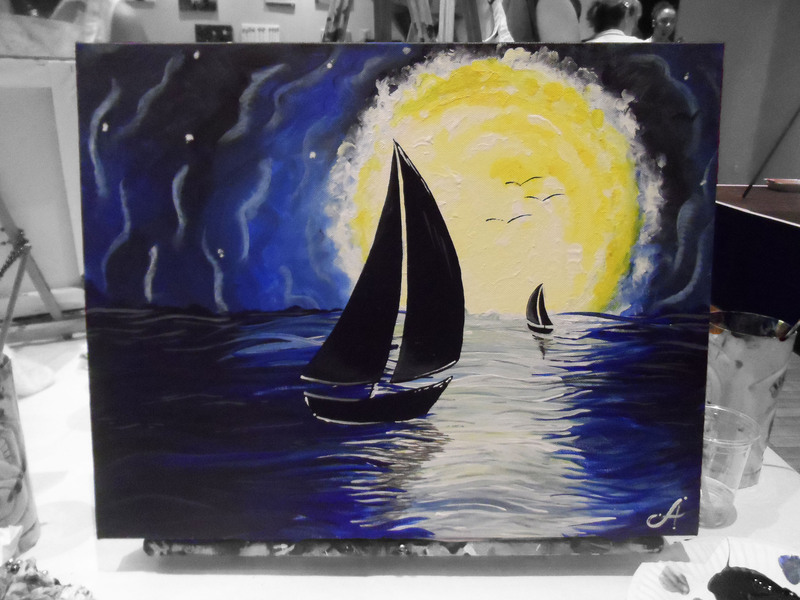 Buzz’n Brushes, Las Vegas: moonlight sail. – Go ask Alisa – DIY capsule wardrobe one stitch at a time! If you happen to be in Las Vegas and you would like to tickle your artsy side – you’re in the right place! 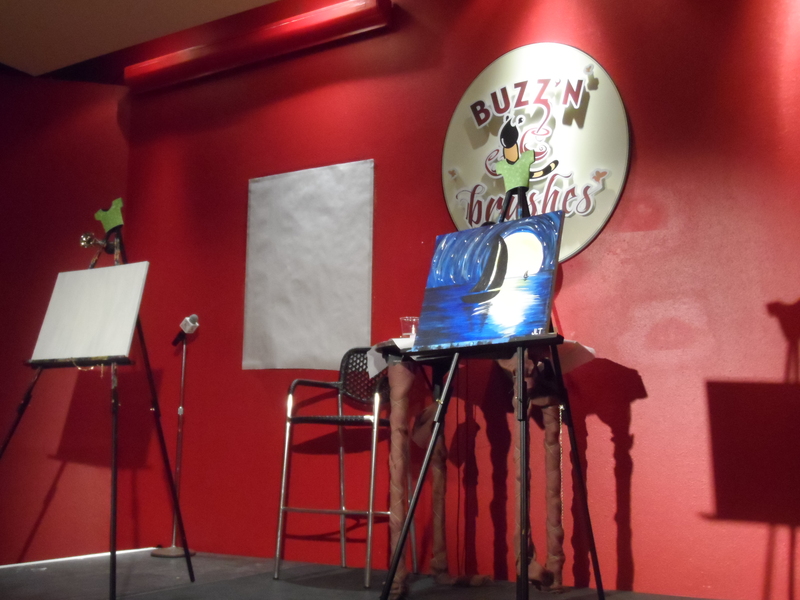 At New Orleans hotel & casino there is a lovely place called Buzz’n Brushes that will help you get on the creative side of life. For both, families and individuals, this a perfect venue for fun and relaxed afternoon. I took my friend over here, she paid me a visit from Europe, and I wanted to show her a different, artistic side of Vegas. For your $25 you will get all the supplies (we got paints and canvas) and a free drink (alcoholic as well) and about 2-3 hours of crafty fun! It truly is a great place, people are welcoming and everything is accompanied by a good and energetic playlist. 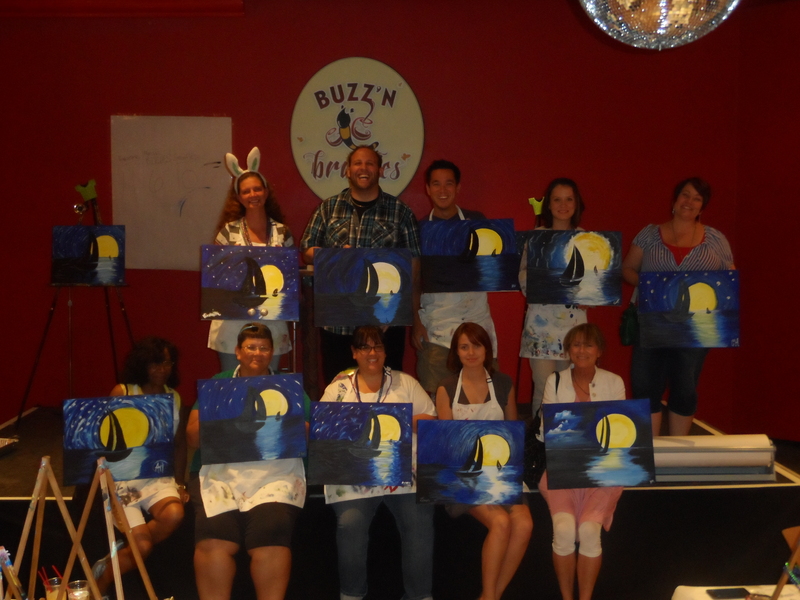 When we joined one of Buzz’n Brushes art classes the topic was “Moonlight Sail” (or something like that). Everyone is reproducing the same picture as the teacher is doing, and she will also guide you through every single step. It’s great for true beginners, and even if you’re not a beginner (like we), it is still a lot of fun! Previous Previous post: Sew easy and stylish with self-drafted patterns!